After a long haul from BC I have finally made it over to Mt. 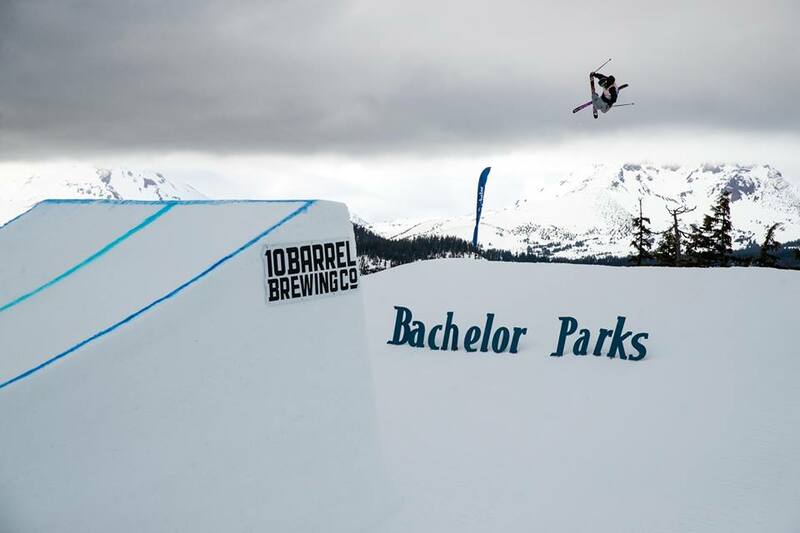 Bachelor, Oregon for the spur of the moment big air contest! I had a great couple days driving over here, but now it's game time! This contest goes by pretty quick because everything is in one day. We have a bit of practice in the morning, followed by qualifications, and then finals directly afterwards. There were 10 spots up for grabs today to get into the final, and I managed to snag the 2nd place qualifying spot to secure a spot! I was feeling really confident this morning going into qualies, I stomped my first run and knew that it would put me through to finals so I just had a little fun on run 2, which is always a nice feeling of relief! Coming into finals the weather was getting really bad. It was to the point where it was getting a little bit unsafe in my mind, but the contest still went on. I pushed through the wind and snow on my first run and was able to put one trick down. In finals it was best 2 out of 3 jumps so I still had to stick one more in the crappy weather. I came in on my second run and was able to make it over the knuckle through the wind but unfortunately still did not get enough speed and landed on my side. I was so frustrated at this point, so on my final run I skied into the jump as fast as humanly possible and I still was not able to fully make it over the jump. Needless to say I was furious when I didn’t land. I was so frustrated with the weather and myself that I was lost for words. I really wanted to win this event and I definitely had a chance to do it, but sometimes the weather isn’t perfect and things just don’t go the way you want. This one stung harder than some other contests, but I have to take it with a grain of salt and I actually have one more big air contest before the contest season is officially over so I’m ready to go give it my all. At least no matter what the outcome there are always some cool photos to go with the events, check em out! Into the clouds I go! For the final contest of the season I am going to be heading to one of my favourite events in Whistler, BC! It is the WSSF (Whistler Ski and Snowboard Festival) It is such an amazing time where everyone gathers for a huge end of ski season send off!